When I read that A Gathering of Ravens combined elements from Beowulf and Lord of the Rings via the press release I felt my heart jump for joy. When I was younger enjoyed losing myself in sweeping epics that incorporated elements of the medieval worlds that so fascinated me; and I have to say, I was not let down. Our two main characters are Grimnir and Étaín. Now, Grimnir is a creature that those around him had assigned to folklore and dark myths, however he very much exisits and has been biding his time as he seeks to bring down one known as 'Half-Dane', his nephew who slew Grimnir's brother. Let's start with Grimnir first. He is described very similar to how I envisioned Orcs from Lord of the Rings, with red glowing eyes (surely something of nightmares!) and he is soaked in blood from the get go. He have absolutely no qualms with killing, barely flinching at the thought. To him it is a means to an end, and helps him to get to his goal faster. He's the typical anti-hero, who becomes a hero in the end - in a roundabout way, and I am sure if Grimnir could speak for himself he would deny any heroic acts. When we first meet Étaín, it is under the guise of another and I really enjoyed the plot twist where she was revealed to be a woman, and not in fact Brother Aiden whom we meet in the opening pages. As a woman reading the fantasy genre, it is appealing to read strong female characters, whom is also believable, and believable Étaín was. 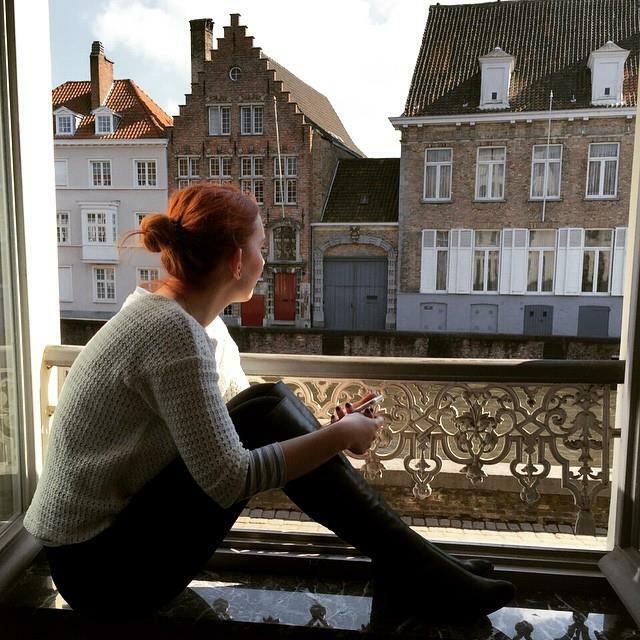 Her back story is revealed throughout the course of the story, and how she is saved by Christianity - and faith is an undercurrent that runs throughout the pages for all characters. She comes to realise that if she believes in The White Christ, then the other gods and religions must also have a place in the world too, albeit their power depends very much on who believes in what. The White Christ is gradually taking over and diminishing the power of the gods of old. I enjoyed the development between Grimnir and Étaín, and how she brought out an element of humanity in him and how he toughed her up. They travel together, albeit unwillingly on Étaín's part at first when Grimnir kidnaps her, and eventually she springs into action to become Grimnir's saviour when he needs it most. Oden writes superbly. 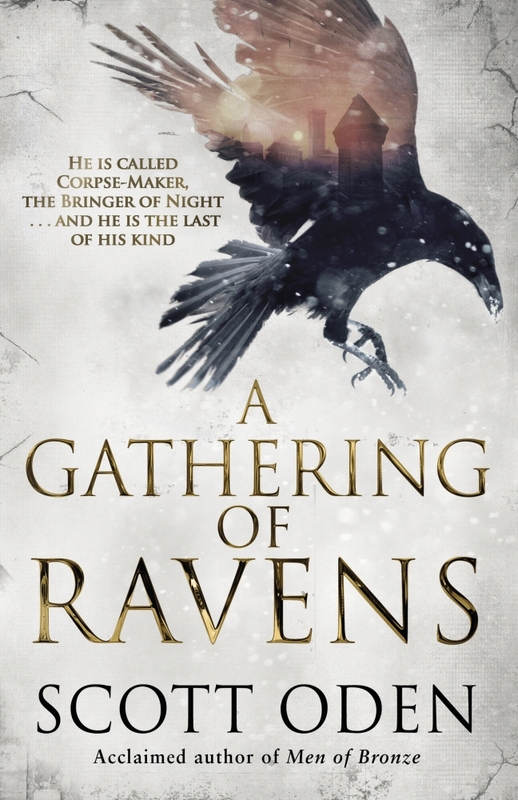 I was reading A Gathering of Ravens in the Italian heat during my honeymoon, yet the cold, harsh weather felt so vivid as I lost myself in the pages, and it felt very in line with a Norse saga. As a lover of medieval history, the way Oden describes each battle or clash of swords, and the desperation as man fought man in a battle to the death. Grimnir's body count alone is impressive! The plot flowed extremely well, and there was a natural progression when specific supporting characters gradually become more and more prominent. Everything is not what it seems, and as the Half-Dane's plans begin to unravel supporting characters really do come into their own, and there is a nice plot twist in the final pages were friends who thought they were lost to each other are reunited - much to my delight! 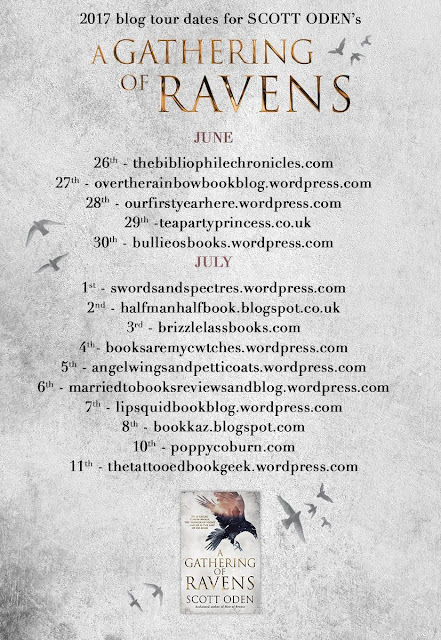 A Gathering of Ravens is one of the best fantasy books I have read in a long time, and the characters stayed with my long after I had finished it - but don't tell Grimnir that, he'll think I'm going soft! I was sent a uncorrected proof copy in exchange for a honest review. Want to visit more stops on the blog tour? Can you recommend any other fantasy books similar that I may like? Let me know in the comments below!